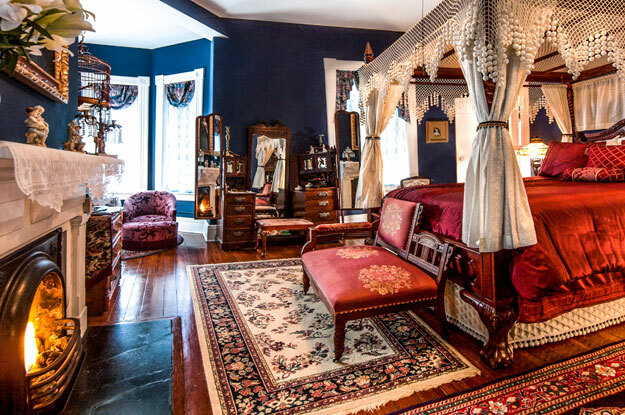 Experience the Huntingdon Room… a junior suite at our Savannah, Georgia B&B offering a queen-size, 4-poster, canopy bed and a sitting alcove in the ‘turret’ component of the building. 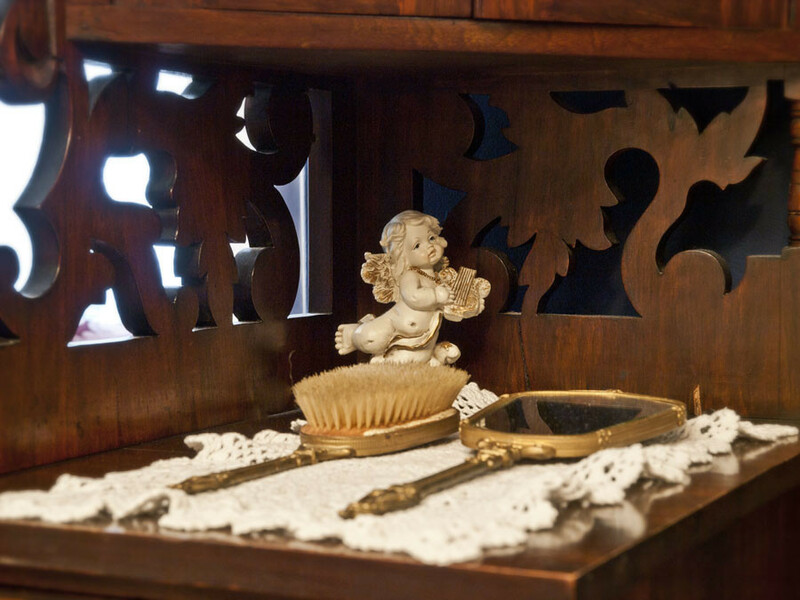 A romantic working gas fireplace to set the mood. 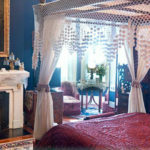 This room is very popular with our guests. 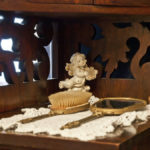 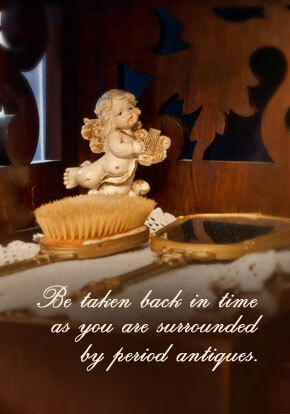 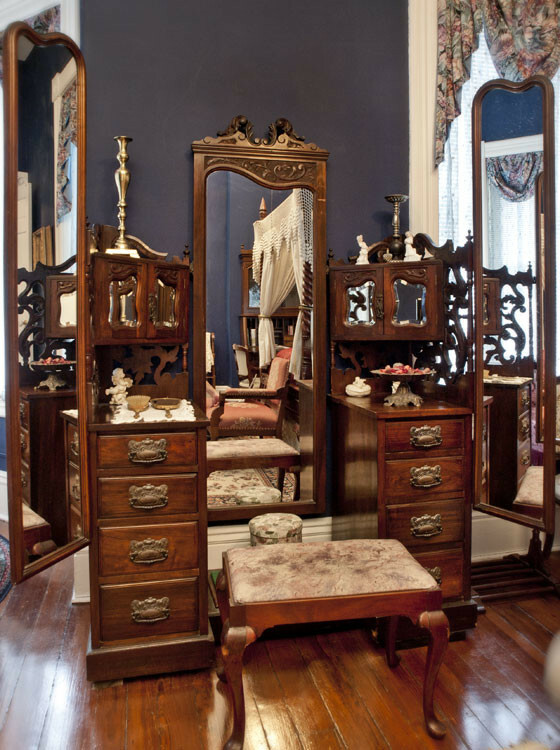 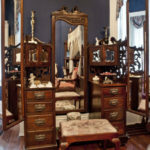 You will be taken back in time as you are surrounded in period antiques. 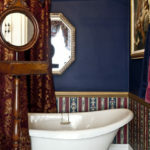 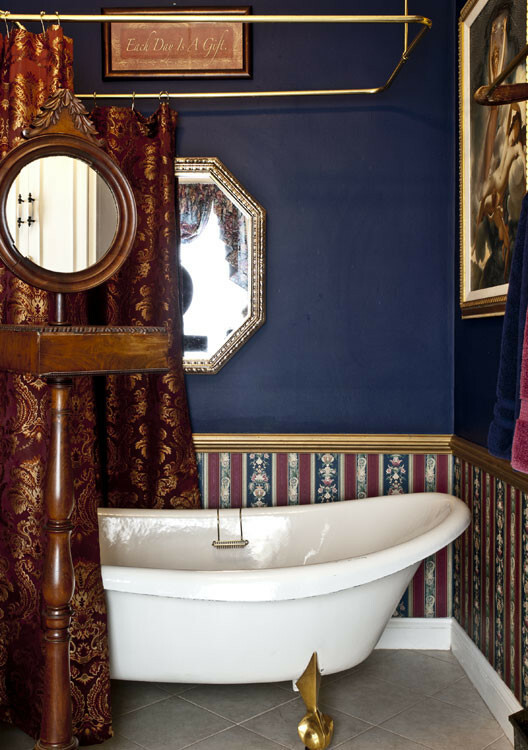 Pamper yourself in the Huntingdon Bath… a large, private bathroom with claw foot “slipper” tub and shower combination.